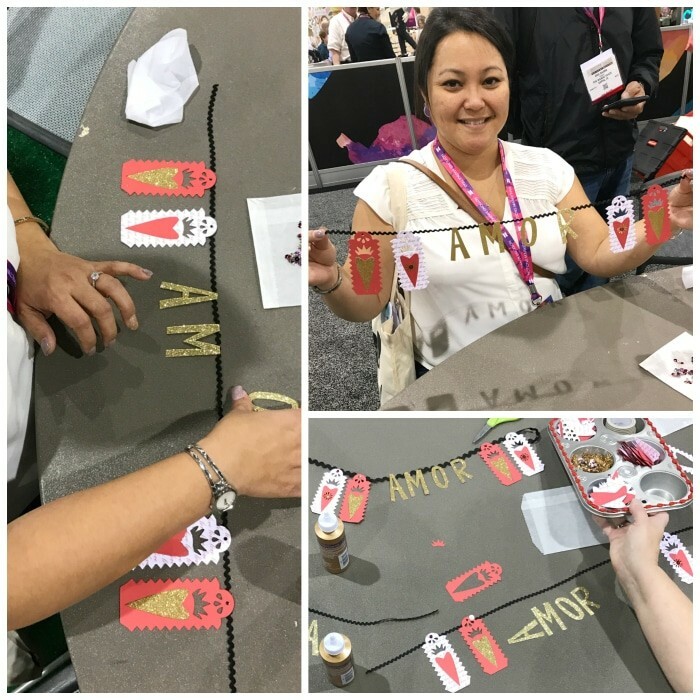 Rina of MothershipScrapbookGal.com used one of my Sizzix dies to make this super cute “amor” banner for Valentine’s Day! I loved it so much, I asked her for a tutorial to share with all of you. She also offered to send five kits to readers, so leave a comment below if you would like one! I’ll choose five people within 24 hours so we can get these mailed out! Alrighty – here is Rina’s tutorial! 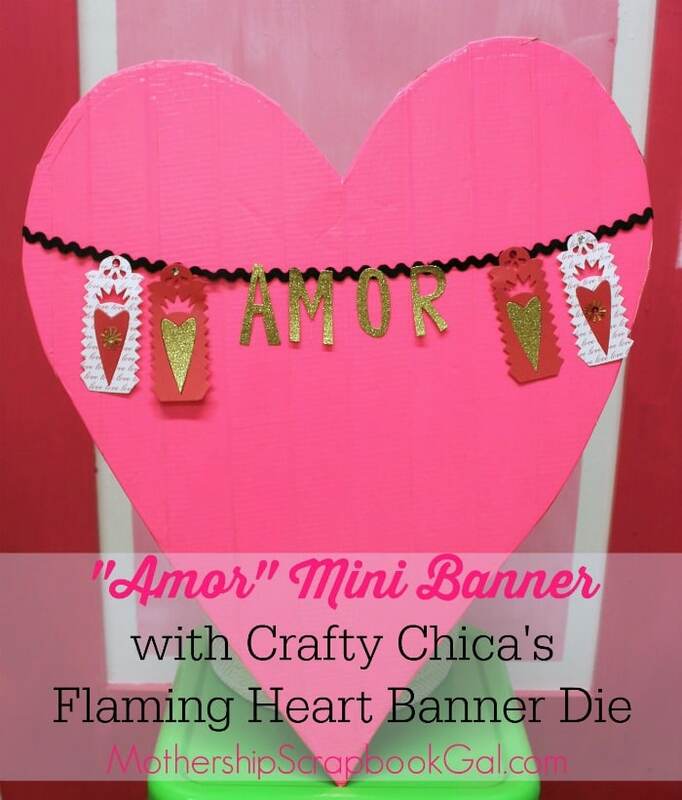 I am so excited to share a really fun craft using Crafty Chica’s Flaming Heart Banner Die. I taught this banner project at Creativation this last month at the “Creativation Cafe” that was hosted by Eileen Hull. A lot of really cool designers helped to provide craft projects, roundtables on how to cultivate your brand and continued relationships after the trade show – it was a really fun space to show off your expertise and meet new people. Step 1: Cut all the die cut pieces. 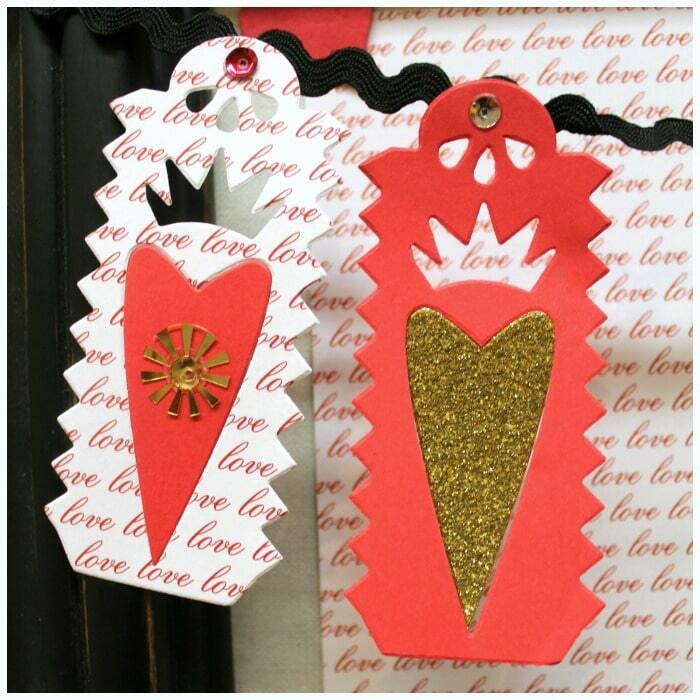 Use your Big Shot and cutting pads and this will actually go quickly ~ cut your AMOR letters, then your flaming hearts! 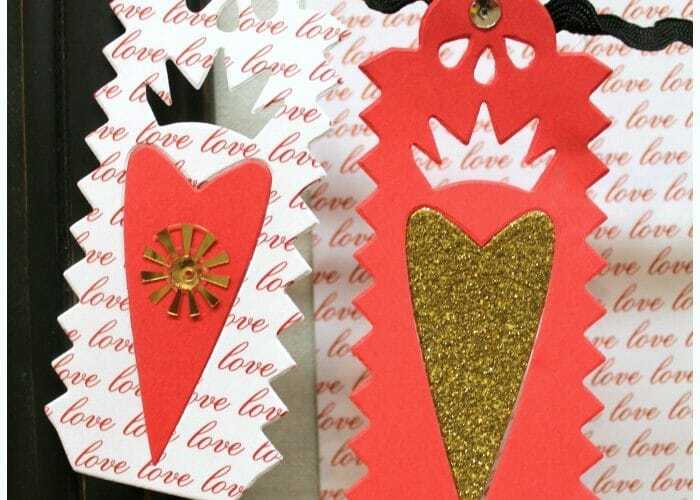 You can cut the heart centers with glitter paper like I did to add extra “sparkle” to your banner. 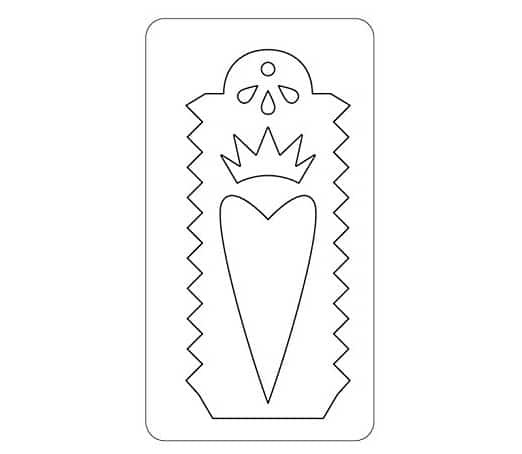 COOL CRAFTY INFO: Sizzix just released cutting pads that are clear and have a glitter finish. You can check them out here! Step 2: Next, take your black ric rac and adhere your die cuts to your ric rac using Aleene’s Turbo Tacky. I like Turbo Tacky because it dries pretty fast. This is a necessity at my Crafty Happy Hour events in Southern California! To learn more about my upcoming events, check out my blog. Step 3: Now you can adhere your sequins and also add your heart centers. I used washi tape (on the back side) to adhere the heart centers. You can’t see the washi tape when the banner is hanging. 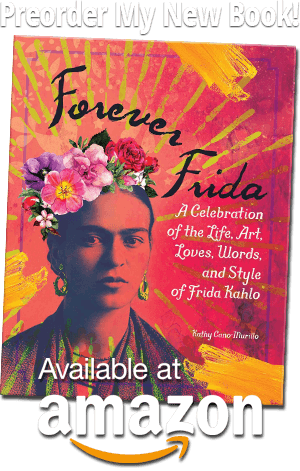 Enjoy your mini banner and may all of your days be filled with plenty “Amor”. 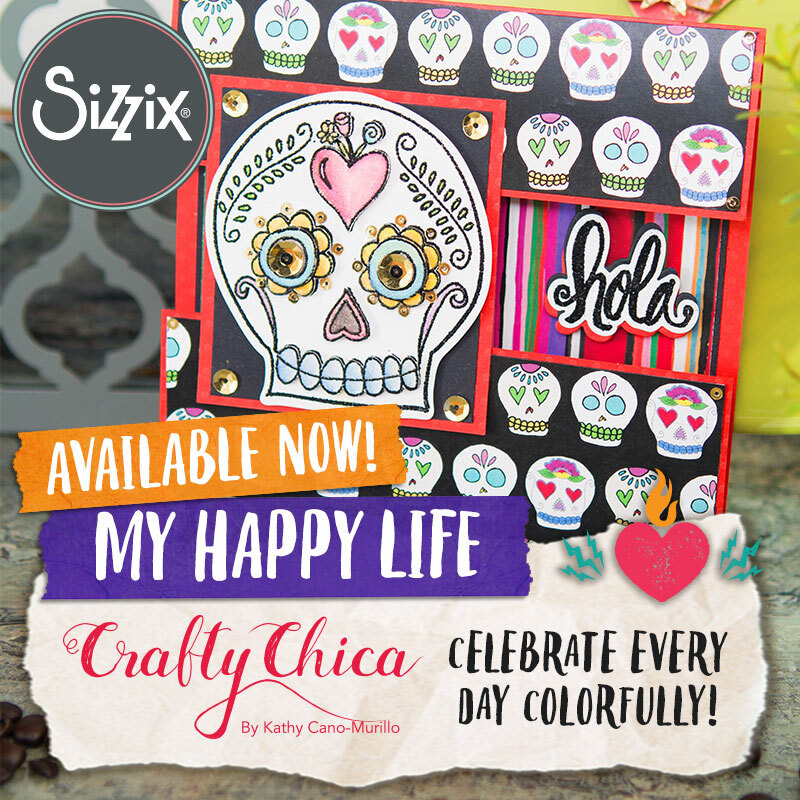 Rina Gonzales is the owner of Mothership Scrapbook Gal and created “Crafty Happy Hour” in 2013. 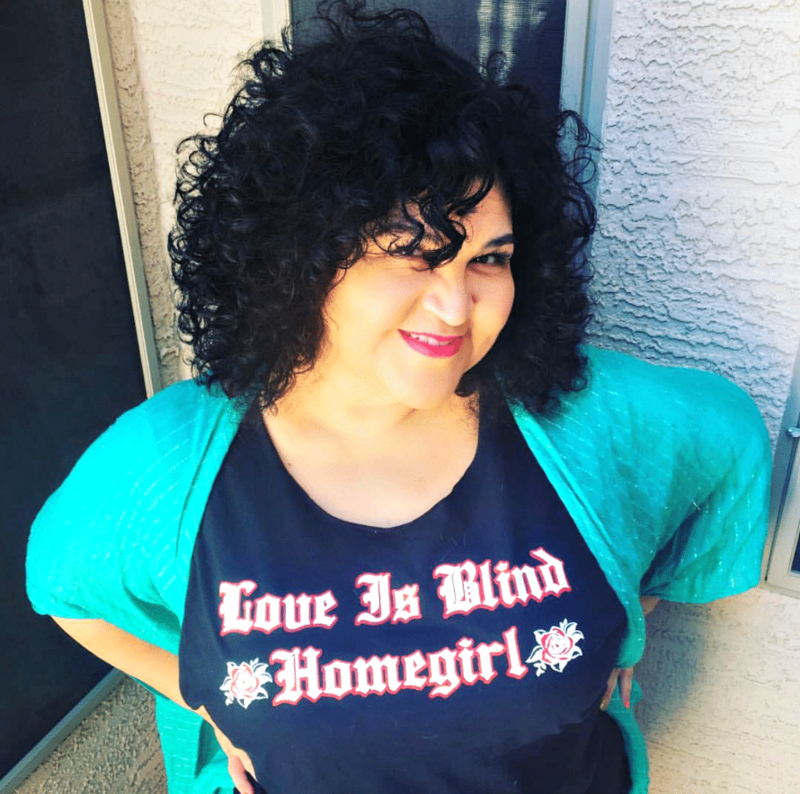 Her craft business is based in Riverside, California, with a mission to help people craft their special and everyday moments through craft events, DIY card kits and custom orders. For more inspiration from check out Rina’s website: www.mothershipscrapbookgal.com and find her on Facebook and Instagram @MothershipScrapbookGal, and on SnapChat @CraftyHappyHour. Love,Love this!!! I really would love a kit. Love all your ideas!!! I’m in love with this banner!!! I would love a kit in order to have it serve dual purpose. Once at Valentine’s Day and again on my Dia De Muertos altar! So beautiful! Thanks for the chance and for all your wonderful art that we can all make ourselves!! Your name was drawn as one of the recipients! Just emailed you, thanks! Oh my gosh -not the biggest fan of Valentine’s, but just love this! It’s all about the flaming hearts of course…. This banner is so beautiful! I love how she made it and would be e happy to have a kit to make one. 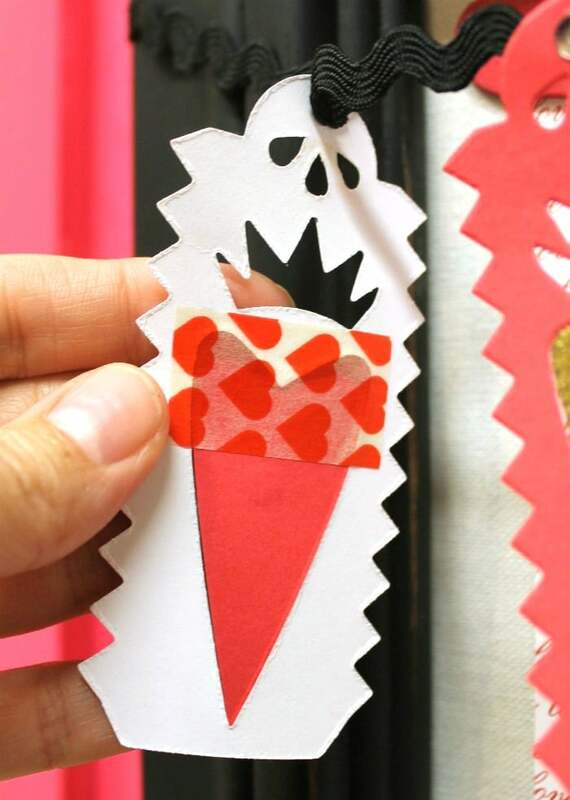 I love all things Valentine’s related! It’s my favorite holiday to craft for. Thanks for the opportunity to receive this cute banner kit. It’s adorable! Happy Valentine’s Day!